View More In Popover Pans. If you have any questions about this product by Chicago Metallic, contact us by completing and submitting the form below. If you are looking for a specif part number, please include it with your message. 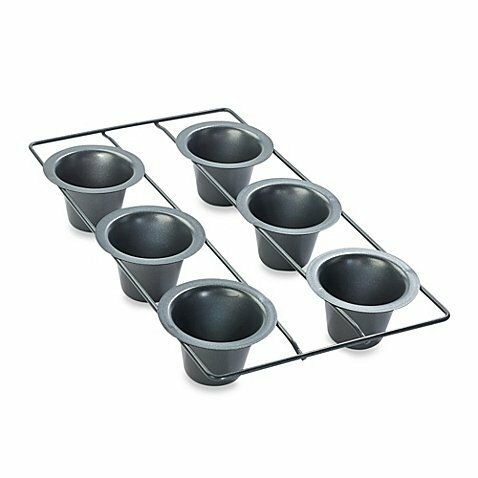 Astra shop Set of 6 Mini Nonstick Individual Anodized Aluminum Molds/ Chocolate Molten Pans/ Pudding Cups/ Raspberry Souffle Pot/ Pie Darioles Ramekins/ Brownies Tumblers Popovers - Size 3" by 2.75"